One of the important programmes being implemented is solar water heating systems for both domestic and industrial applications. Solar Water Heating Systems are available from 100 LPD to higher capacities in multiples of 100 at 60ºC & 80ºC. The cost of solar water heating system varies from Rs 150/- to Rs 180/- per litre of installed capacity. One 100 LPD capacity solar water heating system can save 1500 units of electrical energy per annum or 265 Kgs of LPG per annum. The pay back period varies from 3 to 4 years depending upon the fuel / electrical tariff. Primarily two types of systems i.e. Flat Plate Collectors (FPC) and Evacuated Tube Collectors (ETC) are being implemented in the State. 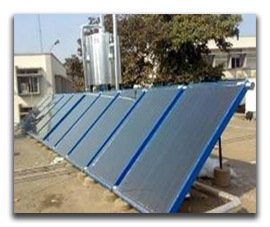 MNRE is providing soft loans/ capital subsidy for installation of solar water heating systems. The applicable Central Financial Assistance (CFA) is Rs. 3300 per Sq.M in case of FPC and Rs.3000 per Sq.M in case of ETC or 30% of the system cost whichever is lower. The State Government issued orders vide G.O. Ms. No.302 MA, dated 03.08.2004 and G.O. Ms. No. 506 MA dated 03.12.2004,making use of Solar Water heating systems mandatory in all functional buildings having a height of 15 metres and above ( above 5 Floors ). Under these mandatory orders, demand has been generated for installation of 30 Lakh LPD systems in 5 major municipal corporation areas. Subsequently, the mandatory G.O is modified by making installation of solar water heating systems as optional. A proposal has been made again to the Government to consider to make it mandatory the use of solar water heating systems. Solar dryers cab be utilised for drying fruits, vegetables, fish and also for industrial applications like tea leaves drying, timber curing etc. Drying takes place in closed compartments and the process is most hygienic and adds value addition to these products. Different models/capacities are available to suit the customer requirements. 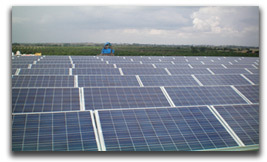 There is limited demand for solar drying applications. Different types of solar cookers are being used to cater the cooking needs. These are Box type solar cooker, Dish solar cooker and Solar steam generating systems. There is limited demand for domestic solar cooking systems in the State due to limitations of its use. Solar steam generating systems have been installed in the State for institutions to meet the cooking needs of large community. 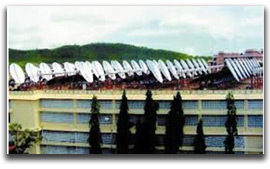 The largest solar steam cooking system was installed on Tirumala Hills, to prepare 30,000 meals in a day. Further, solar steam cooking systems have been installed at Greyhounds Campus, Hyderabad, Sanghi Industries, Hyderabad, VEDA Educational Institute, Chilakaluripet, Guntur District, etc. Various Solar Photo Voltaic (SPV) lighting systems like lanterns, home lighting systems, street lighting systems, etc. are being implemented. As per the new guidelines, Ministry of New and Renewable Energy (MNRE) will be providing Central Financial Assistance (CFA) at Rs.90/- per watt for all categories of SPV lighting systems. 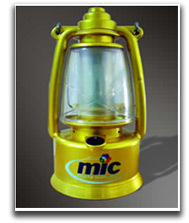 The State Government has sanctioned an amount of Rs.50,00,000 under Plan towards supply of solar lanterns. It is decided to provide a subsidy of Rs.900/- per each lantern and distribute a total of 5,500 lanterns during the financial year 2010-11. Considering the advantage of LED lighting systems over CFL lighting systems, it is proposed to implement all SPV lighting systems with LEDs in place of CFLs. To meet domestic / institutional / commercial power requirements (Off-grid applications), MNRE has launched a programme called Solar Standalone Power Plants. MNRE will provide CFA of Rs.90/- per watt in case of systems with battery backup and Rs.70/- per watt in case of systems without battery backup, or 30% of the project cost whichever is lower for all categories of users plants. In case of domestic applications, the CFA will be provided for the capacities upto 1 kW and in case of institution/commercial organisations, the CFA will be provided for capacities upto 100 kW. In case of pumping activity, the CFA will be provided upto 5 kW. Further, the domestic and institutions (non-profit) can avail soft loans at 5% interest rate from commercial banks to meet the cost over and above CFA. A standalone solar power plant of 100 KW capacity has been set up Jeeyar's International Vedic Academy (JIVA), near Shamsabad, Hyderabad. The Proposals in the prescribed formats are invited for Standalone Solar Power Plants of capacities for 1 KW and upto 100 KW. The proposals in the prescribed formats shall be submitted along with processing fee of Rs. 5000 by way of Demand draft drawn in favour of NEDCAP Limited, payable at Hyderabad. In respect of Solar Water Heating systems, the details shall be submitted in the prescribed tabular form along with details of MNRE/BIS Certificate for the system proposed to be installed.